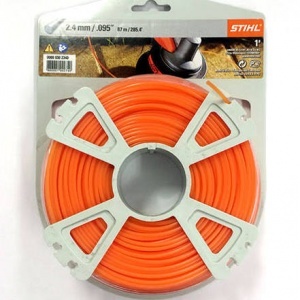 A great value 358 metre roll of genuine STIHL mowing line. 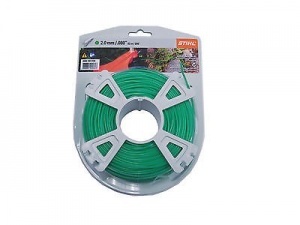 This square profile mowing line gives you the benefit of harsher edges, allowing it to easily slice through even thick vegetation and stubborn weeds. 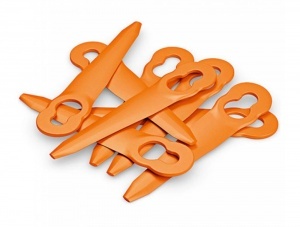 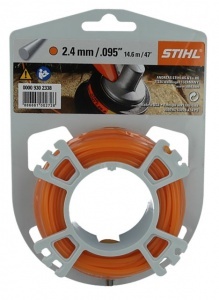 It is 2.7 mm diameter genuine STIHL line, compatible with their AutoCut 25-2, AutoCut C 26-2, AutoCut 36-2, AutoCut 46-2 and AutoCut 56-2, plus TrimCut 31-2, TrimCut 41-2, TrimCut 51-2 and DuroCut 20-2 and DuroCut 40-4 mowing heads.